Dr Diane Davies is a Maya archaeologist and honorary research associate of the Institute of Archaeology, University College London. She completed her PhD in Anthropology, specialising in Central America, in particular, the Maya, at Tulane University, New Orleans. Dr Davies also has a Masters in Archaeology from the Institute of Archaeology, UCL and a BA Joint Honours in History and Philosophy from Leeds University. 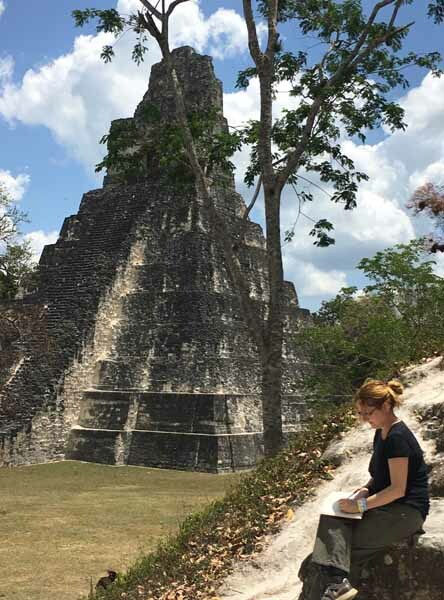 Little is known about the Maya in the UK and so aside from carrying out research in Guatemala and teaching, Diane is an educational consultant for schools giving workshops to both teachers and children on the Maya. She is also a consultant for television and radio programmes. Dr Davies has created award-winning resources, organises trips to the Maya area for all and is also the Chair of Chok Education, a charity supporting the education of Maya children. Finally, Diane organises conferences on the Maya as well as lecturing to a variety of organisations, including the University of Wales Trinity Saint David, City Literary Institute, The Arts Society and the Historical Association. To read about her qualifications, experience and publications – click here.